Depicting college head coaches in NCAA Football is as much of a cat-and-mouse game of subtlety and implication as it is representing "real" players. 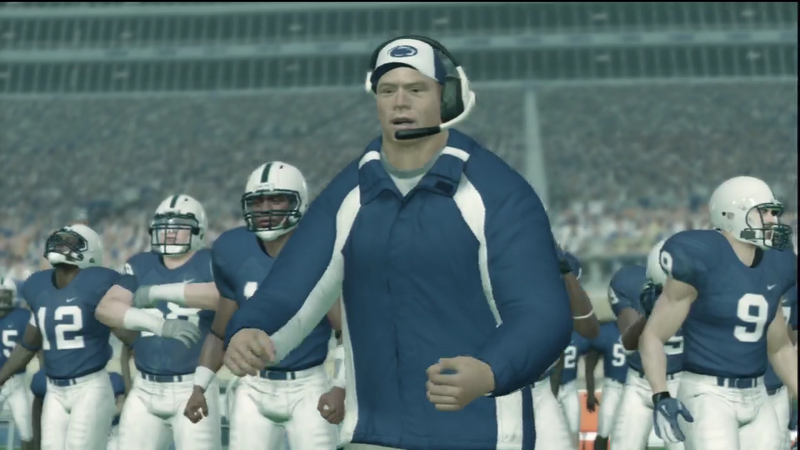 That's not to say Penn State's sideline boss hasn't undergone some significant changes between NCAA Football 12 and NCAA Football 13. NCAA Football celebrates its 20th anniversary this year. Until this year, Joe Paterno, or the guy representing him on Penn State's sideline, was the only coach present for all of that run. EA Sports has had to use some generic models to stand in for coaches, but the association has usually been clear. If a coach is thin in real life, he's thin in the game. If he wears a ballcap or a visor like Les Miles or Steve Spurrier, then virtual Les Miles or Steve Spurrier does so, too. 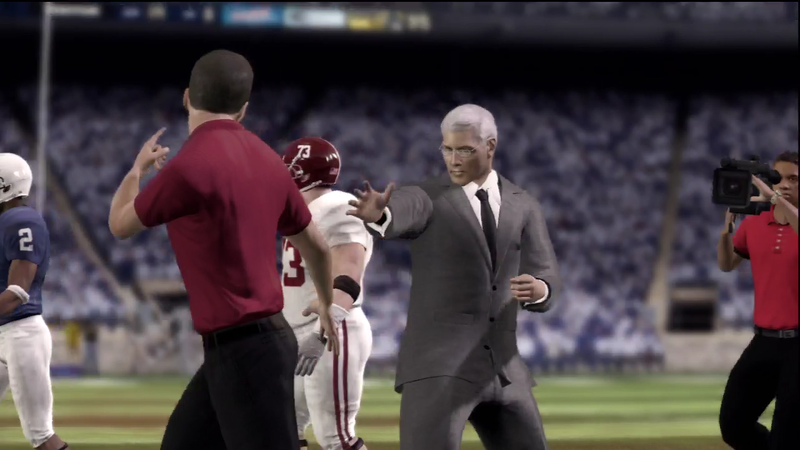 Virtual Joe Paterno, seen here shaking hands with Virtual Nick Saban in last year's game, always had gray hair and wore a suit, for as long as NCAA showed coaches on the sidelines.